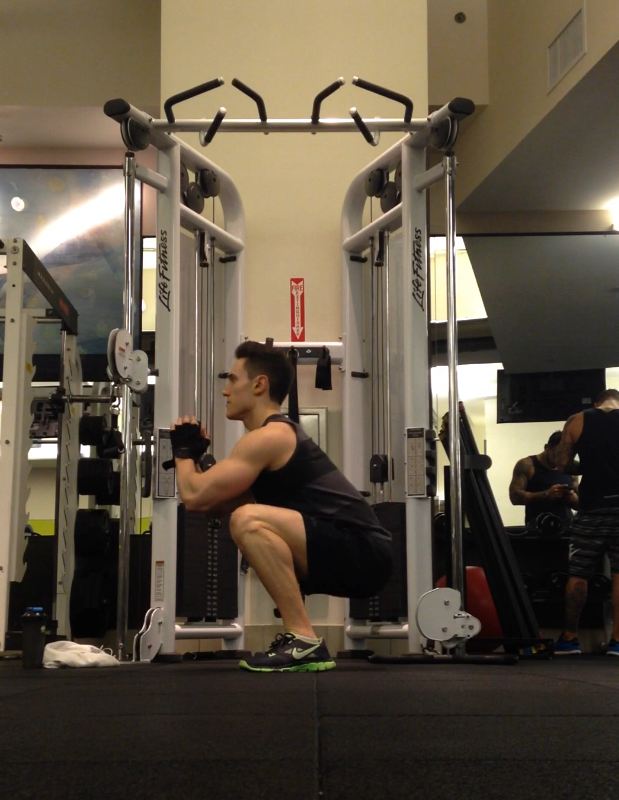 One of the benchmark exercises to do in any CrossFit gym is a Pistol Squat. 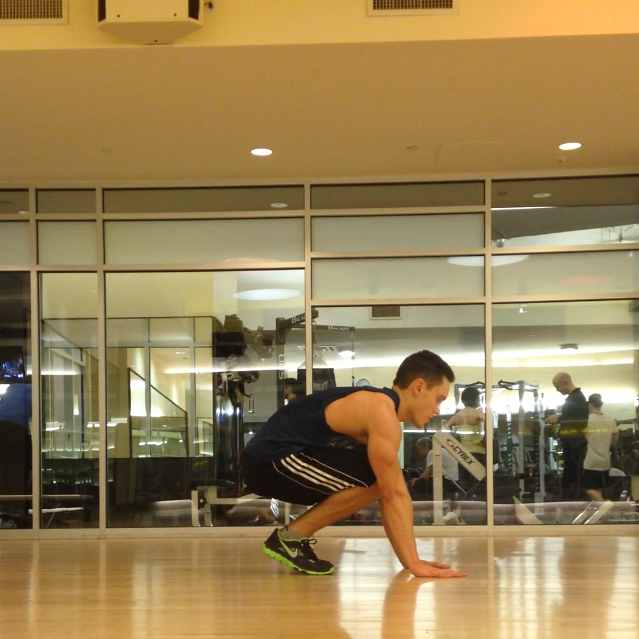 Pistol Squats involve only using one leg to squat down and push back up to the standing position. 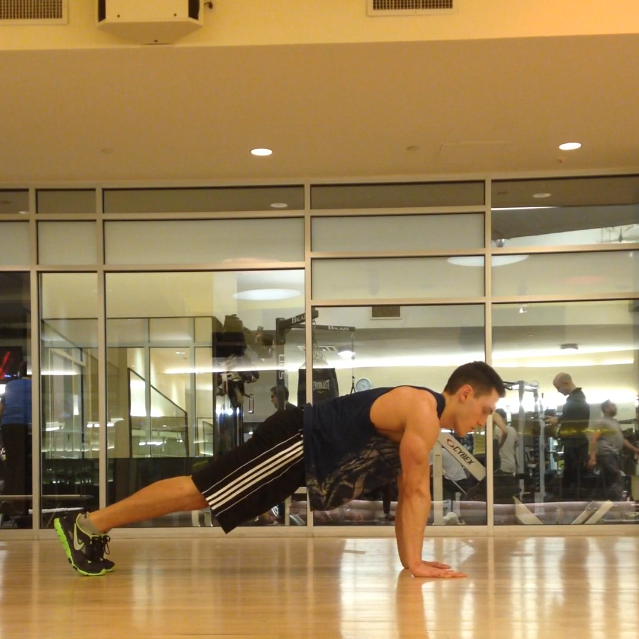 This exercise is very difficult and requires a lot of practice and strength to complete. Rolling Pistol Squats are an easier variation of the standard Pistol Squat because they allow you to use momentum to your advantage. 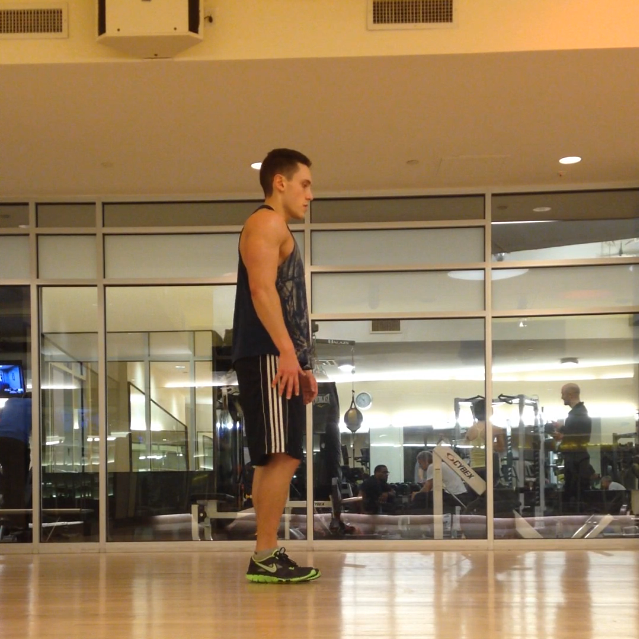 Rolling Pistol Squats are also a great cardio and full body workout. 1. 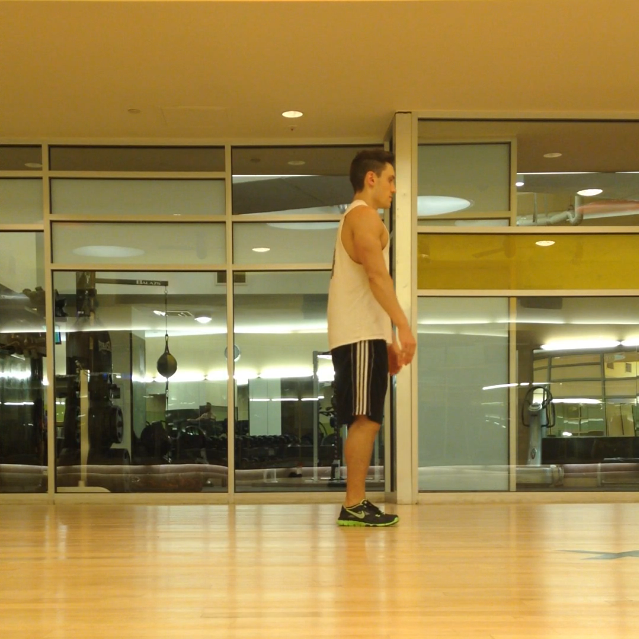 Start in the standing position with both feet on the floor. 2. Squat down with your glutes as close to the floor as possible and create a comfortable curve in your back to prepare to roll backward. 3. Roll backward onto your back and raise your legs in the air. 4. Using the momentum of throwing your legs forward, place one foot on the ground as close to your glutes as possible with the other leg straight out in front of you and stand up. 5. 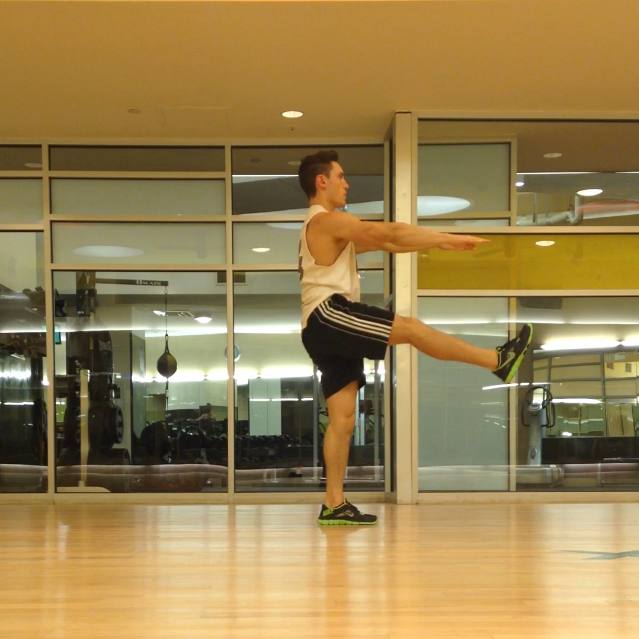 Once standing, put the leg that is straight out in front of you back down to return to the standing position. 6. 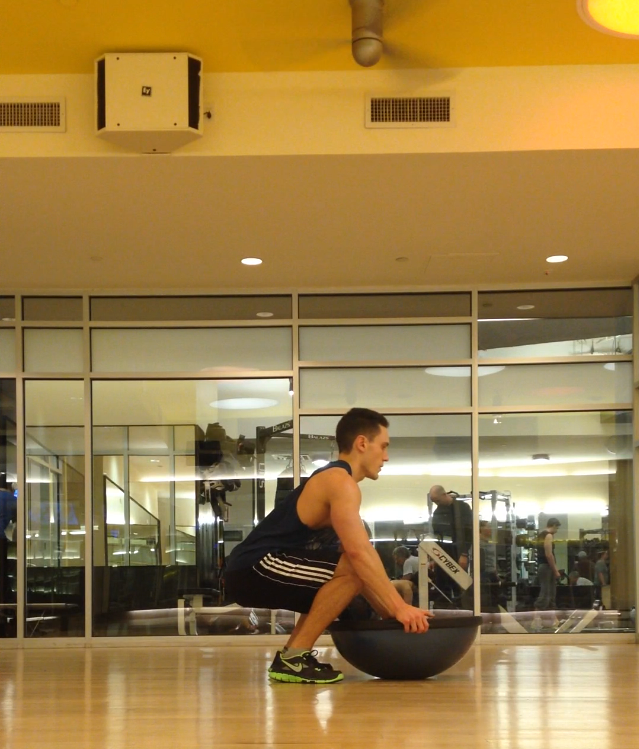 Repeat the exercise from Step 2 and alternate legs with each rep.
1. When I roll backward, I like to keep my legs straight and bring my legs as close to my chest as I can. 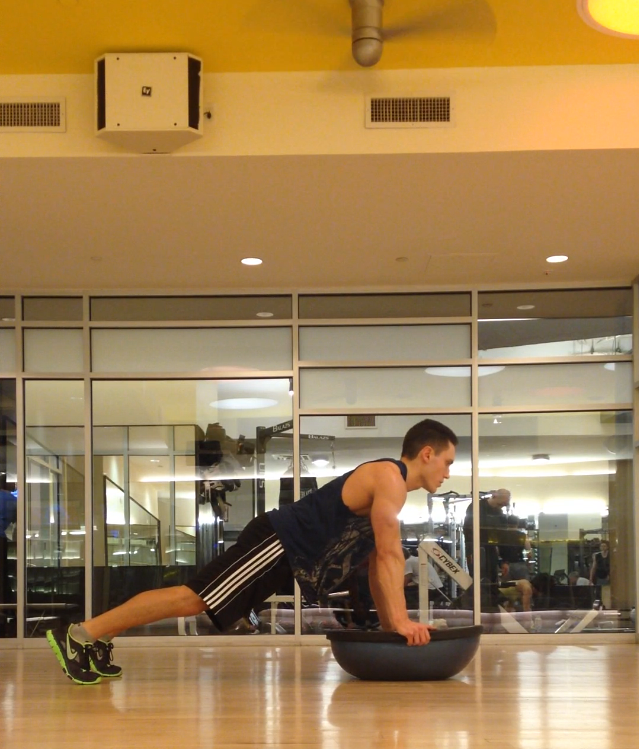 I give them a light pull with my hands and this allows me to give my hamstrings a stretch. 2. 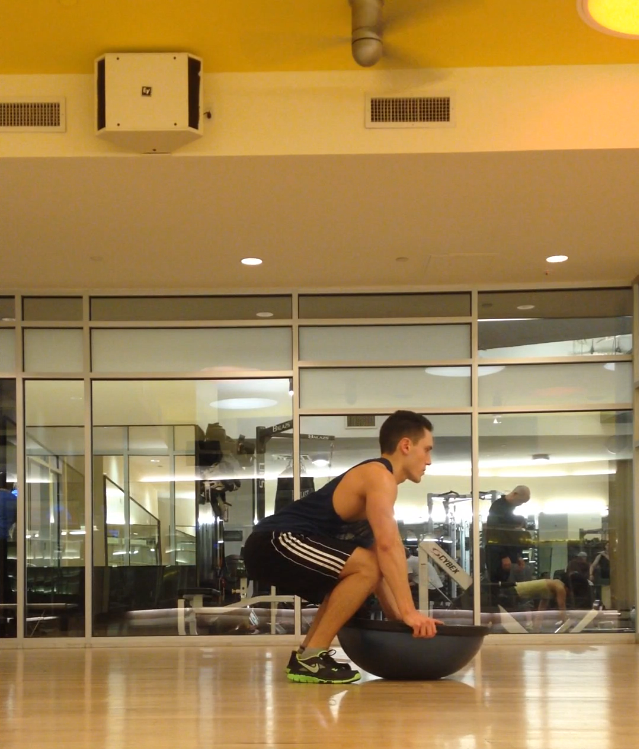 The closer you can place your foot to you glutes when you role forward, the easier it will be to stand up. 3. Momentum is key! 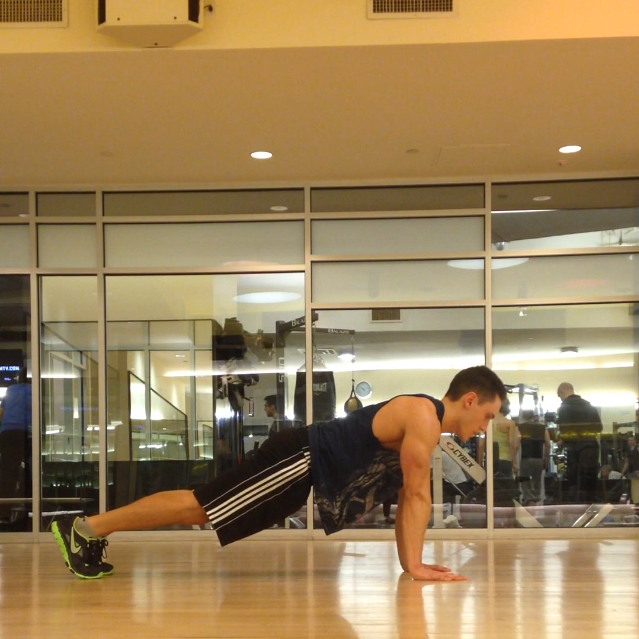 Quickly bring your legs forward to make the push up from the floor easier. 4. 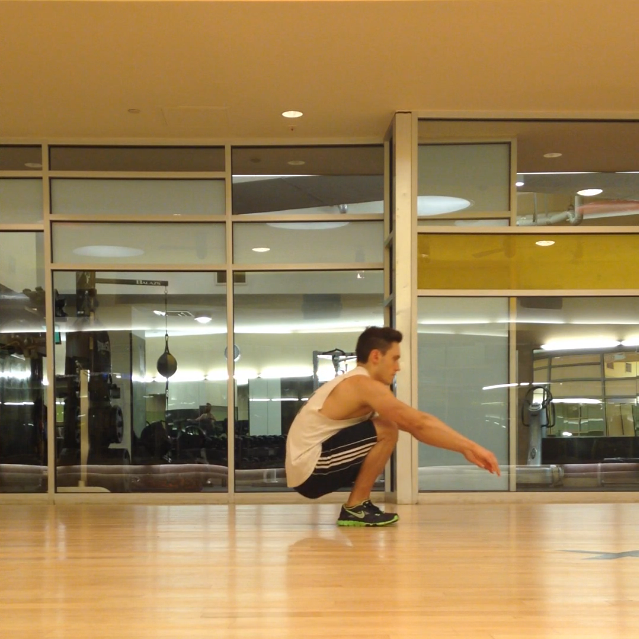 For anyone with a knee or hip injury, any variation of a pistol squat is not recommended. Never do a workout that causes you pain. Listen to your body! 5. Rolling Pistol Squats are great to help tone your legs, but they also wok your core and provide a good cardio workout as well. 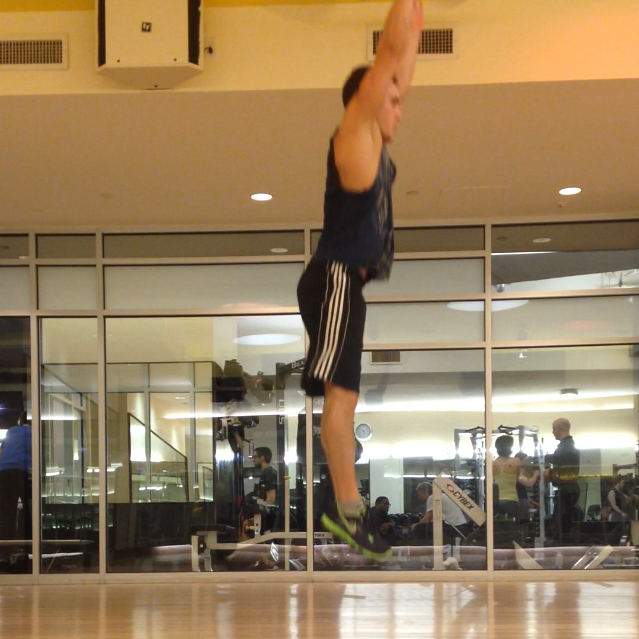 I like to use Rolling Pistol Squats in between other exercises to keep my heart rate up. I usually do about 16 reps per set (8 on each leg), and about 3-5 sets during my workout. 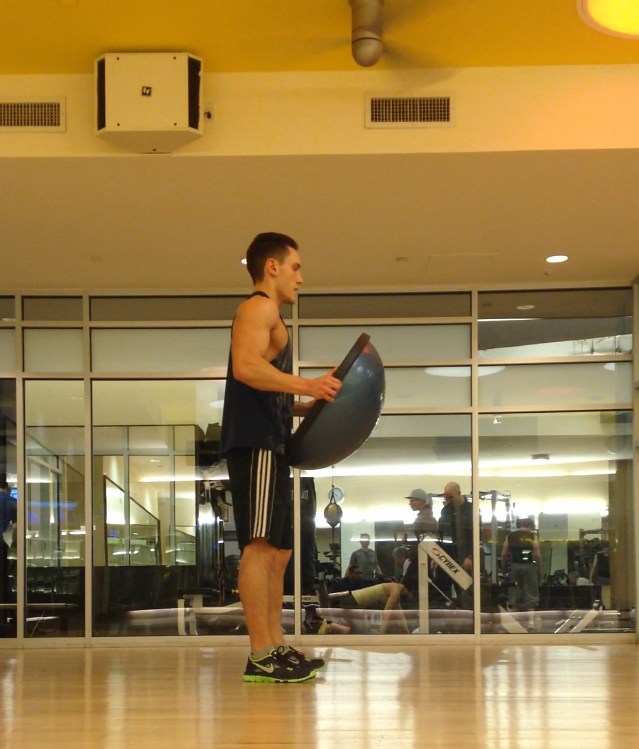 Have you ever tried Rolling Pistol Squats? Do you plan on adding these to your workout routine? I really appreciate any feedback. Contact me at corestrengthalec@gmail.com. 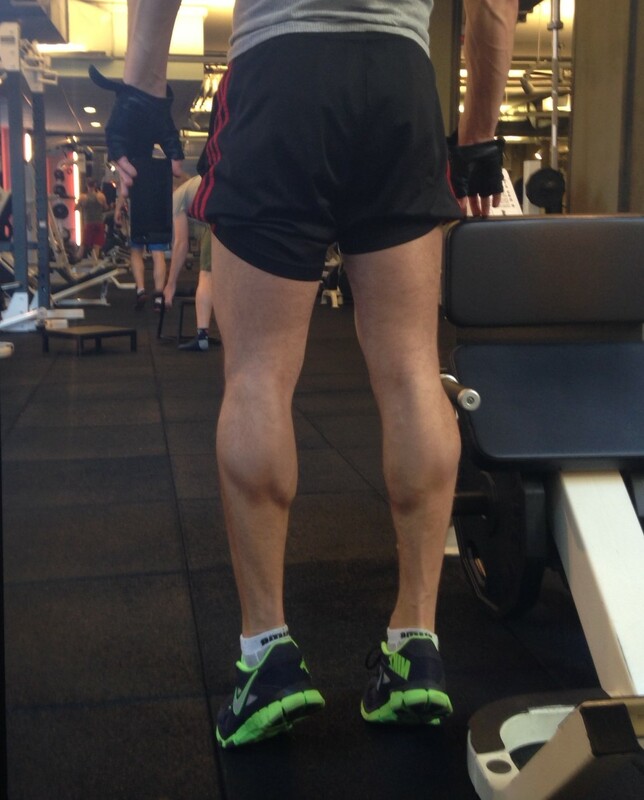 How to get the most out of your Calf Raises! Calf Raises can be done many ways; however, there are a few tips to understand and follow in order to get the most out of the exercise. First of all DO NOT BOUNCE! 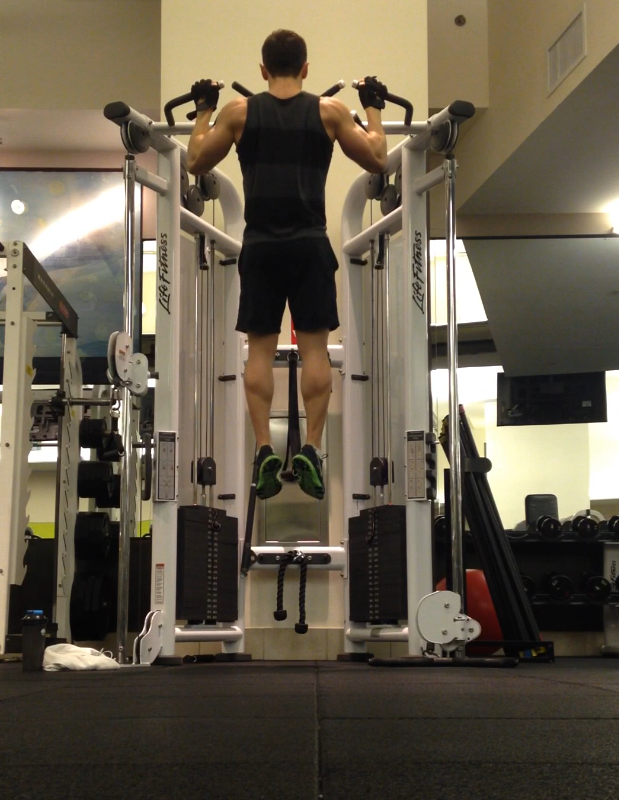 When you bounce or do quick calf raises, the work is being done by your Achilles tendon, not your calf muscles. You may feel a burn in your calf muscle, but it is not being targeted well enough to see results. Doing a slow controlled movement from a rest (standing) position to the balls of your feet will activate all of the muscles in your calves. If calf raises are done with straight legs, all of the parts of the calf will be working, but most of the work will be done by the very visible, large muscle on the outer part of the calf (Gastrocnemius). This will promote thickness and definition of your calf. If calf raises are done with bent knees, the smaller muscle behind the Gastrocnemius (Soleus) will be doing most of the work. Now although the Soleus muscle is not as visible as the Gastrocnemius, because it is behind the larger muscle, it will cause the Gastrocnemius to swell and visibly pop out more. Both are beneficial so I like to alternate between bent and straight legs between sets. Calf raises can be very effective with no weight; however if you are doing weighted calf raises, the same principle applies. 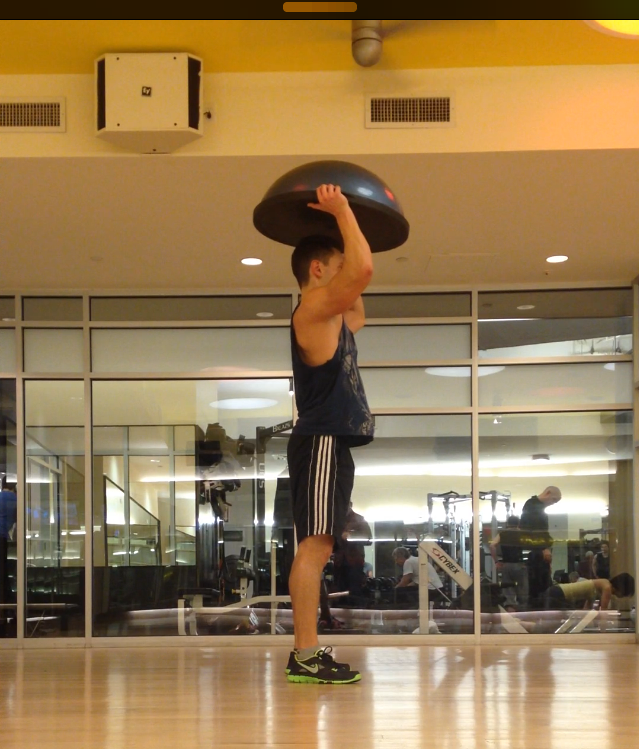 Use slow controlled motions rather than a bouncing movement. 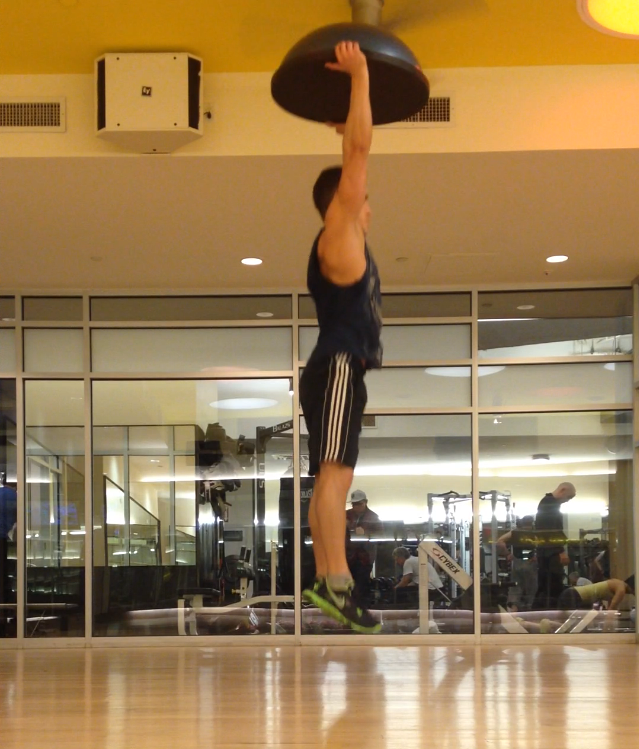 Another possible way to change up the exercise is doing calf raises on a ledge where your heels hang over the edge. When lowering, go past parallel with the floor and stretch your calf muscles more. 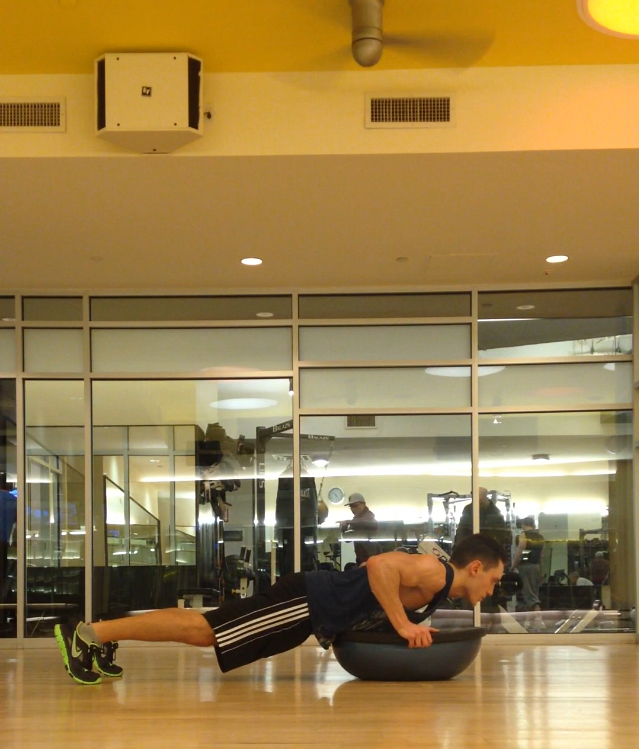 This will give you a wider range of motion for the muscle; therefore working the muscle in a different, harder way. The gym I currently go to has a Power Plate. I like to start off my calf routine with 3 sets of slow calf raises on the Power Plate, and then I do 4 sets of weighted calf raises on one of the calf machines. Do what works best for you, but make sure to follow these tips.